Joshua Tree National Park in Southern California may take hundreds of years to recover from damage sustained during the partial government shutdown. The country’s many national parks were left open during the shutdown, but they were understaffed and operated by a skeleton crew. With only 40 percent of its maintenance staff and 20 percent of its resource-management scientists on duty, inconsiderate guests created havoc in several areas of Joshua Tree National Park’s sprawling 790,636 acres. Larger than Rhode Island, the park is a sensitive ecosystem of desert and craggy rock formations. Spiky-leafed Joshua trees, a form of yucca plant that is a member of the Agave family, dot the landscape and give the park its name. The park also contains delicate flora and fauna unique to the area and dependent on the specific conditions found there. With most of the park’s staff furloughed, some visitors took advantage of the lack of supervision to engage in prohibited activities. The park was littered with garbage and other telltale signs of illegal camping. Gates and posts were toppled and some of the famed rock formations were graffitied. Some of the park’s namesake trees were chopped down or appeared to have been driven over. Pictures posted to social media showed the damage. Joshua trees, scientific name Yucca brevifolia, are known to grow just 1/2 to 3 inches a year, depending on the weather conditions that year. In a dry year, it might not grow at all. 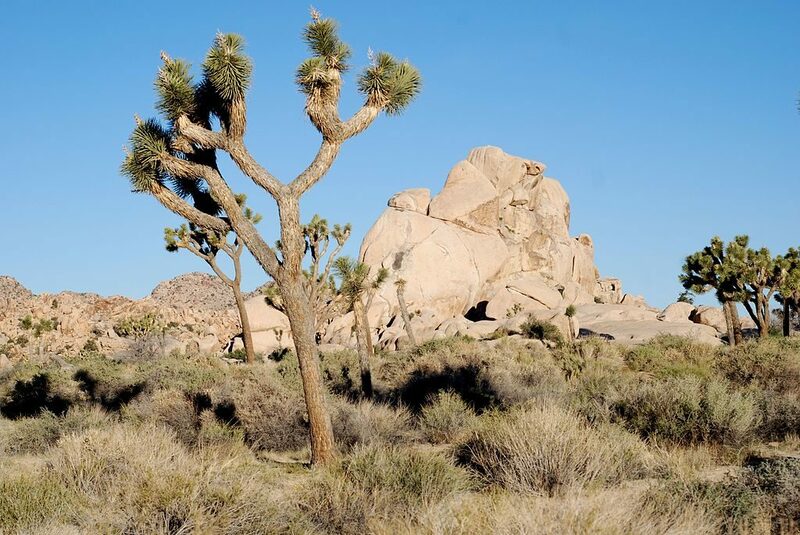 A Joshua tree must generally reach about 5 to 10 feet before it will start to produce blossoms. According to the National Park Service, the tallest Joshua tree in the park is roughly 40 feet high. The mature trees provide vital support to Southern California wildlife, like birds, bats, and insects, which depend on them for food and shelter. Because these trees are so large and grow so slowly, hundreds of years may be needed for a tree to mature. It is nearly impossible to estimate the length of time it might take to a replace a destroyed specimen.